aa i remember having so many, then my parents throwing all of them away. 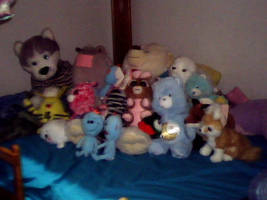 Wow, that is a lot of plushies. I have maybe the same amount of that though. Hi, I am just curious, how were you able to get it to work? I was able to figure it out, I just copied the thumb and pasted it. Thank you though!